A lot of people love to grow and cultivate gardenia bonsais because of their elegant appeal, amazingly beautiful flowers and remarkable fragrance. 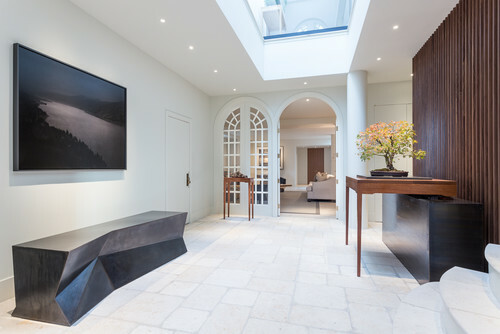 The shrub is known for its delicate white flowers and glossy green leaves and because of that it’s used in many modern homes in order to complete their look. The gardenia bonsai can be grown outdoors in zones seven to nine, but you may also consider it as a houseplant until the summer months. 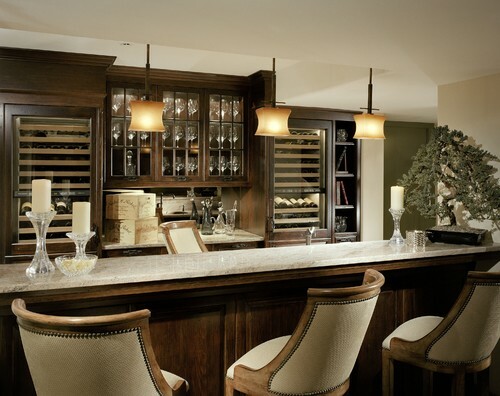 When doing so, you’ll easily be able to protect it from temperatures that are harmful to its health. With that in mind, below we’re going to take a closer look at A beginner’s guide to growing a Gardenia Bonsai. To enhance flower growth and foliage, a gardenia bonsai needs to be exposed to diffused light or direct light up to 4 hours per day. During its active growing season you should expose it to temperatures between seventy and eighty five degrees Fahrenheit, which are basically the temperatures between spring and fall. 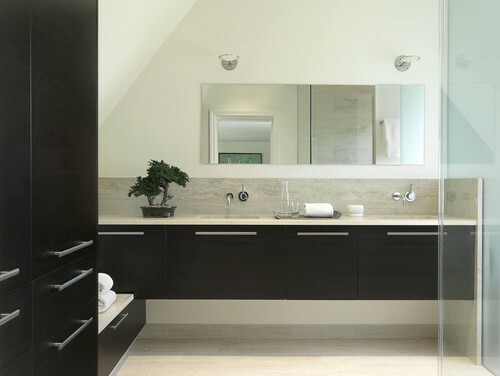 During wintertime though, you’ll need to take greater care of and expose it to temperatures that will never go below forty five degrees Fahrenheit. Also, since gardenia bonsais require extra humidity, you should place yours next to a tray filled with pebbles and water or next to other leafy shrubs. You should make it a point to keep the soil moist, but without being soggy. 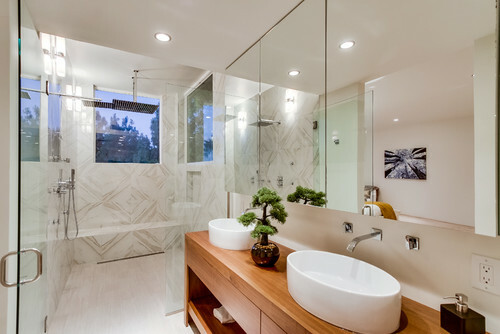 In the warmer seasons though, you’ll need to consider watering the bonsai every day but how will you determine if you’ll need to water it or not? Well, that’s simple and all you need to do is check the color and feel of the soil’s surface. Once it dries up, the soil will tend to have a light color and when touching the surface, it will feel a bit dry. The gardenia bonsai should be placed in a shallow dish with around two inches of water and remember that it’s important to allow it to soak moisture when the soil starts to look and feel moist or for a minimum of twenty minutes. However, if the soil dries out completely, you’ll just need to immerse the pot in water for maybe five minutes until the soil is thoroughly wet. To maintain the bonsai’s bushy appearance in the spring, you may want to cut its unbranched and long growths. It’s important to keep the cut above the leave joint when pruning and since it has flower buds that grow at the end of its branches, be sure you take extra care so you don’t pinch out all of them. 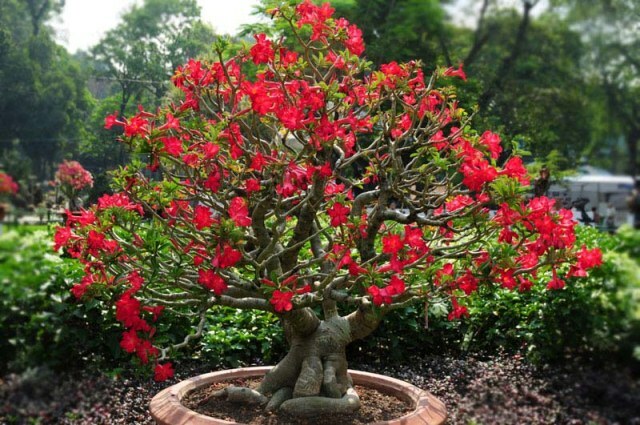 After the bonsai has flowered, you may go ahead with enhancing the shape of your plant by pruning these branches. 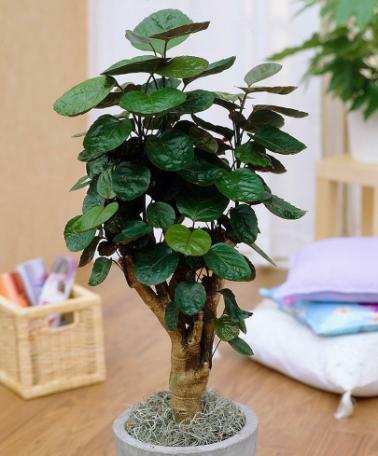 As you can see, by following the tips of A beginner’s guide to growing a Gardenia Bonsai you’ll easily be able to grow a Gardenia Bonsai that will not only look wonderful, but at the same time offer your room or the space in which you’ll place it in a new and refreshing feel. This guest post is written by Mauricio Greene. 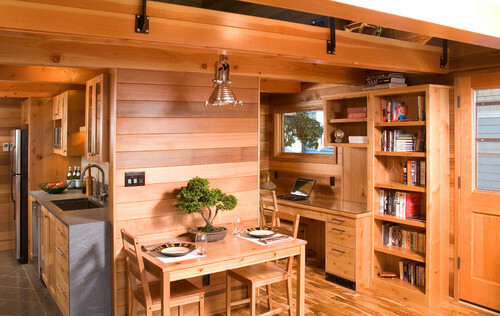 He is a bonsai expert and runs the site Bonsai Tree care. 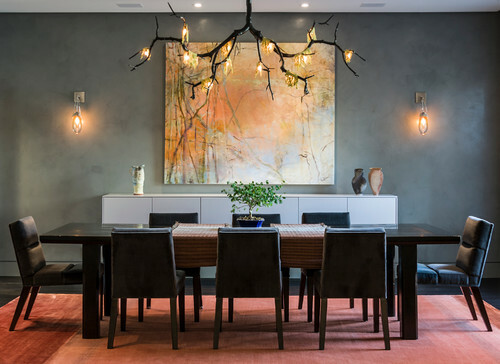 Mauricio aims to create a community that cares and cultivates these amazing plants, and importantly, appreciates the beauty and tranquility they provide. Widdringtonia is a small genus of coniferous trees usually described as African Cypress. Though not seen commonly in gardens, these evergreen trees make an excellent specimen plants in gardens and landscapes. 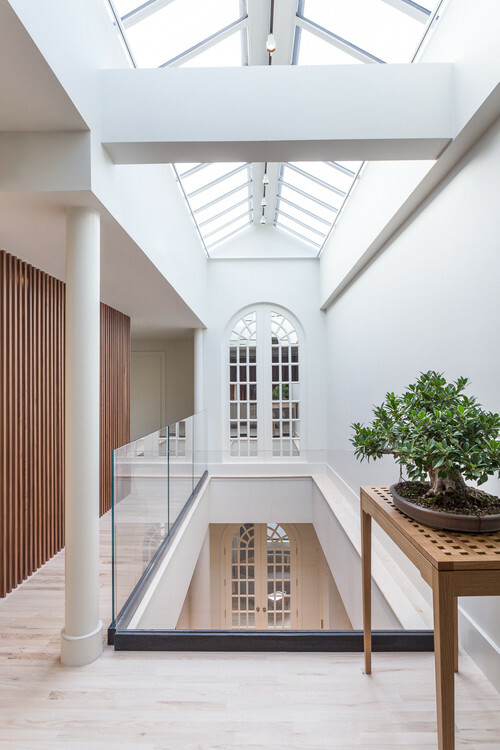 Most species have fragrant wood which is usually used in preparing furniture and wooden panels because the timber is easy to work on resists decay. 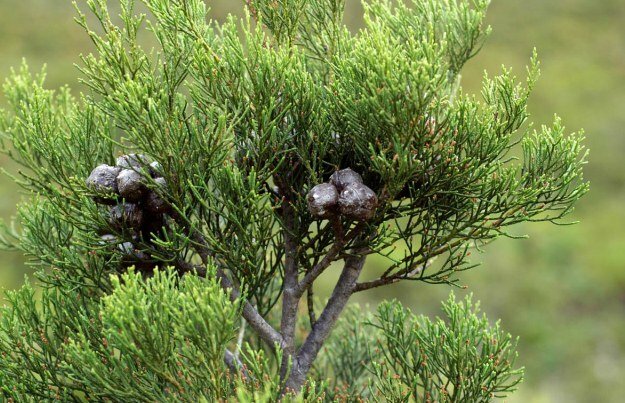 Widdringtonia is found natively in mountain regions of South Africa only however it grows quite easily in tropical and sub-tropical climates as small trees or large shrubs. The genus of best represented by Widdringtonia Nodiflora or Mountain Cypress which grows as a medium sized tree of 12 to 15 feet and produces male and female cones on the same plant. Grown as evergreen specimen plant, it grows under full to partial sun and survives frosty and windy weather easily. Widdringtonia Nodiflora also makes a nice subject of bonsai. Bottlebrush are evergreen flowering shrubs from Australia and consist of about 34 species of shrubs known as Callistemon. 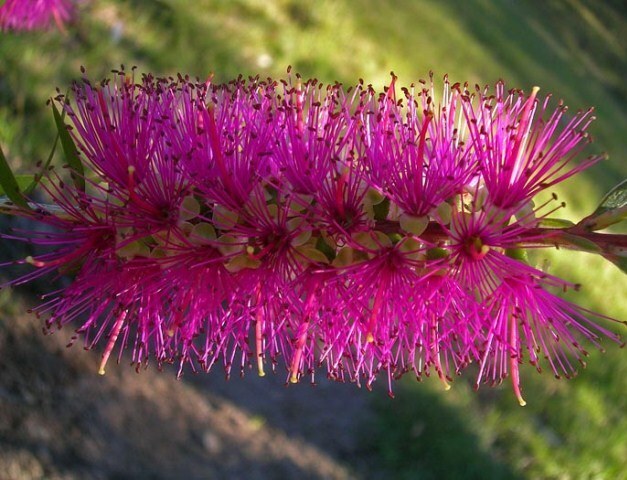 The name comes from cylindrical, brush-like flowers that actually resemble a bottlebrush. Callistemon is available commercially in many colors. Most of the species are low growing shrubs that grow fast and attain a height of 4 to 4.5 meters. With regular pruning Callistemon can be used as dense hedges or screens in landscapes, gardens and lawns. 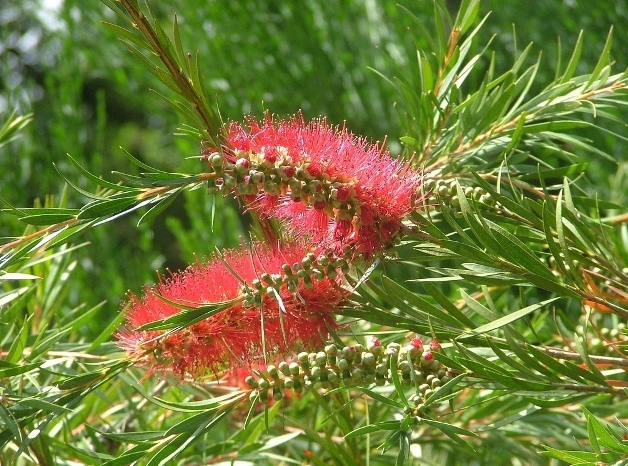 Normally, Callistemon grow vigorously and should be pruned after flowering to encourage dense and bush growth. Callistemon prefer well-drained and moderately rich soil in sunny locations. Generally, they would tolerate drought and flower profusely with just small quantity of annual feed. Protect it from cold spells (below 7° F). When grown indoors, Callistemon requires a sunny spot, regular fertilizer (good dose of potassium) and moderate water. Flowering varies according to the species – white, green, cream, pink and most popularly red. If you are looking for a low maintenance flowering shrub for your garden, Callistemon could be the best choice for a nice flowery show throughout the spring and summer. Flowering is followed by seed capsules. 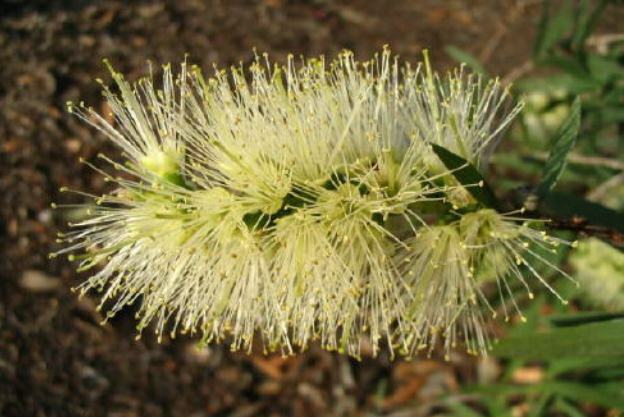 Callistemon/Bottlebrush can be grown from seeds as well as cuttings sown in spring. It can be a good candidate for a bonsai experiment too. Adenium Obesum, also known as Desert Rose, is a succulent and caudex forming shrub from southern region of Africa and Arabia. Adenium are popular for their unusual shapes and spectacular flowers. This slow growing flowering shrub can ultimately turn in to a small tree with large swollen trunk/caudex. Adenium Obesum can be used in landscape or grown as container plants. They can also be trained to make good bonsai specimens. Beware that sap from Adenium plants is toxic. Desert Rose or Adenium Obesum grows as tall as 1 to 3 meters in height. It produces green, leathery leaves that grow near the tips of branches. Adenium blooms in late spring and sometimes in mid fall. Flowers are red and pink with whitish shade and resemble the flowers of Frangipani. These days a number of hybrids are commercially grown and sold as houseplants. These hybrids bear spectacular flowers of many different shades. You can also find many different hybrids grafted on a single rootstock all producing flowers of different colors. 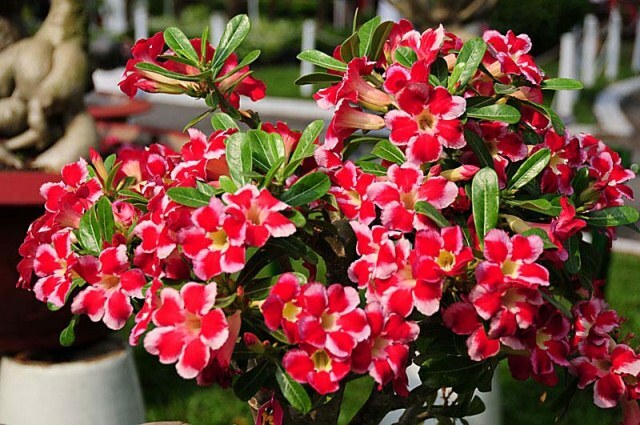 Adenium Obesum is a popular houseplant in temperate zones of India, Thailand and Vietnam. In temperate zones, Adenium can be grown from seeds. However, they are mostly cultivated from cuttings or grafting though plants grown from seeds acquire better caudex and trunk shape. Adenium prefers sunny location, very well drained soil, and a minimum 10 C temperature in winter. They should be watered carefully as overwatering may rot the stem. Adenium prefer bright sunlight and can be grown outdoors easily. 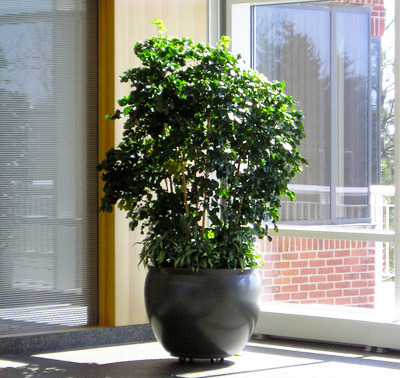 In winter, it can be grown indoors near a sunny window where it is protected from frost. Adenium prefers slightly alkaline soil. Popular species of Adenium include: Adenium Swazicum, Adenium Somalense, Adenium Arabicum, Adenium Boehmianum, Adenium Multiflorum, Adenium Crispum and Adenium Obesum. Adenium Crispum is relatively compact species and bears striking flowers. It is difficult to grow and does not withstand cold or hot, humid conditions. As grafted plant, Adenium Crispum can grow into a tall shrubby tree. 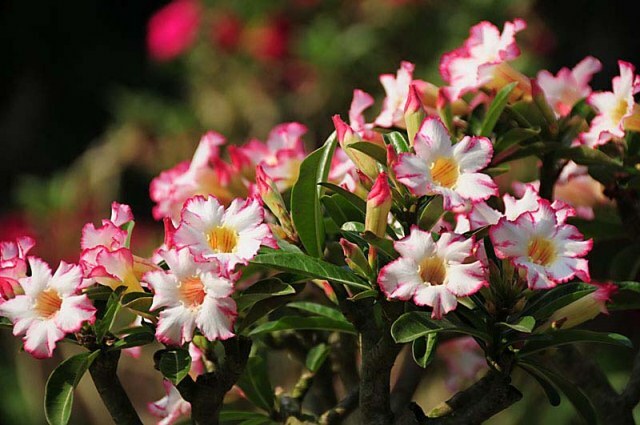 Adenium Multiflorum has brownish bark and bears white, pink, crimson and red flowers with predominant white base. It remains compact and grows in columnar style to attain a height of 3 meters. Adenium Multiflorum is also known as Impala Lily. Adenium Boehmianum produces fleshy stem and can be grown easily from seeds, cuttings and grafting. Adenium Boehmianum is not grown commercially and thus cannot be found commonly. Adenium Arabicum resembles Adenium Obesum and bears crimson and pink flowers. It can be grafted easily on a rootstock. Adenium Arabicum bears fleshy green leaves and makes a perfect show plant. Adenium Swazicum is an evergreen dwarf shrub from Swaziland. It is usually used to develop hybrid plants because of its floriferous habit. Adenium Swazicum is relatively a hardy plant.